Mobile phones have disrupted the enterprise space like none other. From content distribution to collaboration among other areas, mobile phones are everywhere. A major part of this revolutionary era is driven by mobile applications which offer great ways for companies to deliver services to their stakeholders. In that light, it has also become important for companies to build apps with the best user experience. The best applications are user-friendly and provide an immersive experience to all its users. Nothing beats native apps when it comes to performance and reliability. ClickGoWeb develops native mobile applications for iOS and Android platforms. Our developers have perfected the art of building the most beautiful, engaging and high quality, effective native mobile apps though years of experience working on them. We understand the nitty-gritty of each mobile platform and fully leverage their functionalities while developing apps. Native application development can be a powerful way for your business to build an effective presence in the ever-growing mobile ecosystem, but business owners must clarify the potential strategic impact of their development decisions before choosing a solution. We will help build a customized native mobile app which will address your specific business problems, gives you high leads when comes to providing the revenue. ClickGoWeb has helped organizations achieve a significant competitive advantage by providing cost-effective solutions and accelerating their road to the market. 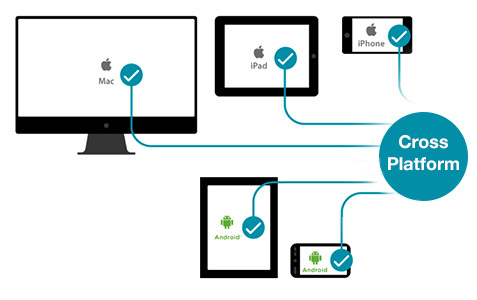 Give your business a competitive edge with our top-notch cross-platform mobile / Hybrid application development services. Our experienced app developers intuitively develop your mobile app that meets all the industry standards while running successfully across every mobile device irrespective of display size and platform. ClickGoweb is offering end to end hybrid application development solutions to its global clientele. 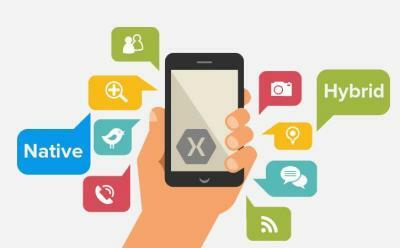 We have the competence to combine the potential of HTML5 development with the advanced mobile frameworks like Sencha, PhoneGap and more to build the apps that look like native ones on all the major platforms, including Android, Windows mobile, iOS & others. You can avail the latest trends in the mobile technology through our time-tested methodology in multi-platform app development. Our experienced and dedicated developers understand the value of your customized business app and bring forth the most useful solutions while facilitating key business processes. Get the best-in-class mobile application that can seamlessly work across multiple platforms through a renowned mobile app development company, ClickGoWeb. You can get a highly secured application for facilitating your complex business operations while attracting and retaining existing customers that basically ensure high security. You can reach a massive audience through an enterprise-grade, custom application that can run on multiple platforms and devices seamlessly.